Concerned that baby girls are shoved into pink boxes from the moment of arrival, I had decided to not give her a princess-themed nursery, pink fluffy clothes, and stereotypical “girl” toys. Surely this would allow her to blossom without cultural expectations forcing her into a preordained archetype? OMG, do you see that THING? And a couple years in, the epic failure of this “gender-neutral” experiment made me chuck all of my theories into the nearest intellectual dumpster. Despite scrubbing the cultural slate clean, my daughter became one of the girliest girls to walk the planet. Her love of fluffy pink dresses, her fascination with purses, her near-worship of the Disney princess pantheon, laughed in the face of my previous belief that everything gender related is a social construction. Sure, it’s easy to put everything down to a script when you are a single woman working off hypotheticals, but when your toddler daughter asks you for the billionth if her hair looks pretty, it’s time to reevaluate. I figured that at this crossroads of development, I could either: 1) try to keep her away from everything traditionally feminine, or 2) keep exposing her to other possibilities. What bothered me about banning “feminine” things, however, is that it results in the very cultural conditioning I was trying to avoid in the first place. How could I claim to want my daughter to blossom into her authentic self if I am telling her that her expressions are unacceptable? Further, is there anything inherently wrong with wanting to wear dresses or host tea parties? I don’t think that women wearing dresses are the problem so much as the idea that women should have to wear dresses… it’s the idea that there is something wrong with women who don’t like dresses. Maybe instead of arguing about dresses, we should just let people wear whatever they damn well feel like wearing without drawing a bunch of unnecessary conclusions from their choices. Besides, if I communicate to my girl that her desire for pretty things is wrong, won’t that make her feel that her natural preferences are wrong? Couldn’t that create insecurity in and of itself? Truth be known, we are probably all a mix of traditional and untraditional traits, falling along various messy points of the traditional-to-different range depending on our individual preferences. Roman men wore dresses (though they called them “togas”) and 18th century male aristocrats and 80’s glam rockers wore plenty of makeup. The urge to decorate your body is completely natural… how different, really, is eyeshadow from a guy getting a tattoo? I’ve seen a number of little boys running around with black nail polish lately and think it’s a hopeful sign that we are starting to let kids freely choose from both gender categories instead of assigning them one or the other (or conversely, trying to flip them the other way around, intact). With this new perspective, I decided to stop worrying about my daughter’s fascination with wedding-cake dresses, anime ponies, and long-suffering princesses… instead, I would expose her to as many new hobbies, activities, and ideas as I could, and let the chips fall where they may. And you know what happened? She became a little princess that tears toward the tallest slide in the playground and throws herself down it, head first. She wears ridiculous outfits that become covered in grime as she digs in the sand and rolls in the dirt with her friends. 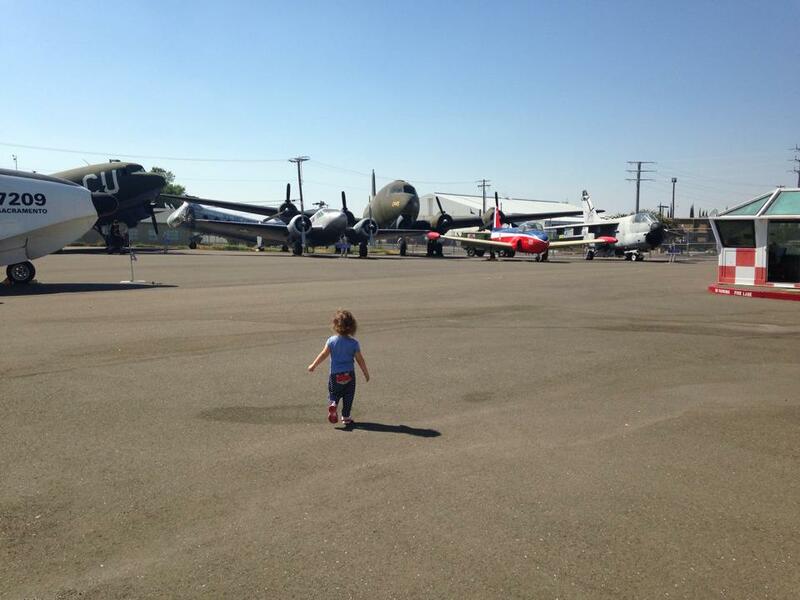 We took her to the Aerospace Museum of California, built on the grounds of the former McClellan Air Force Base, and she had an absolute blast. 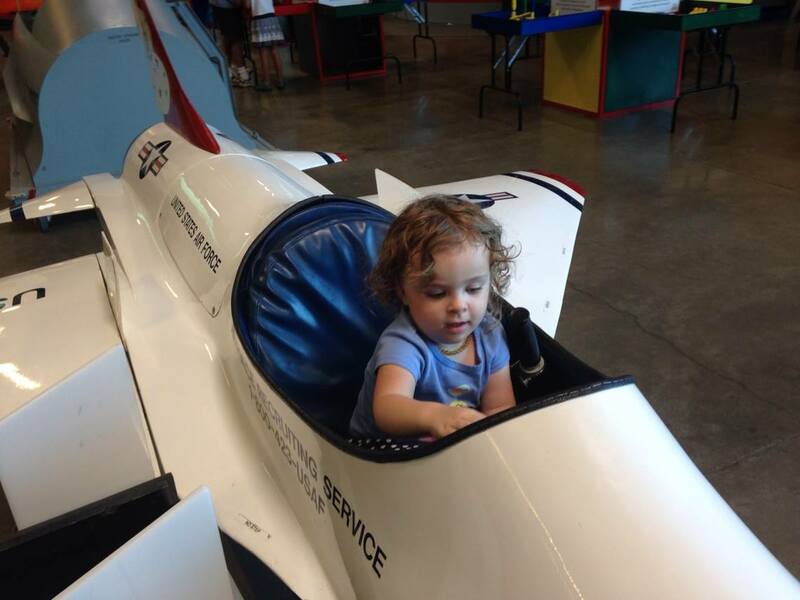 She climbed into the planes and made all kinds of flying sound effects while she tinkered with the controls. 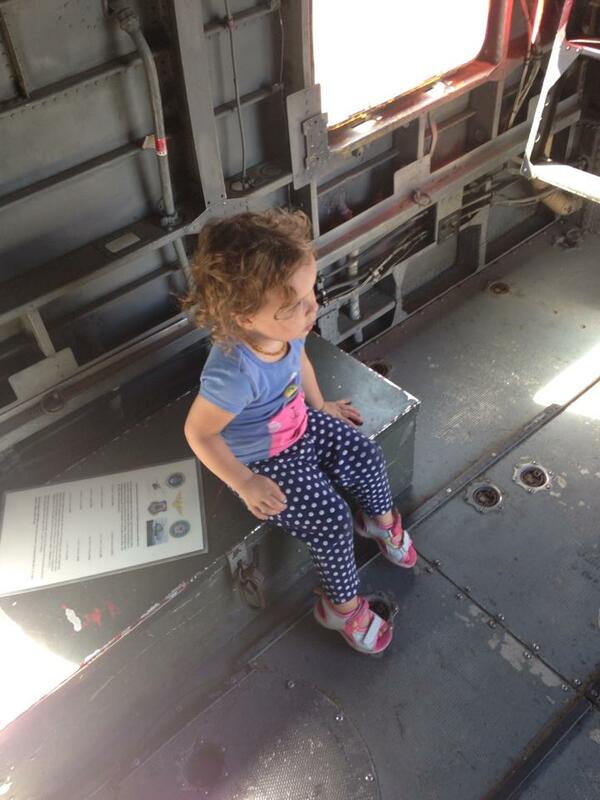 She tore around the planes at a full run (much to the amusement of the veteran docents) and ran up the ramps of World War II relics to altitudes that were literally making other children cry. My daughter is a princess, but is neither helpless nor insecure. 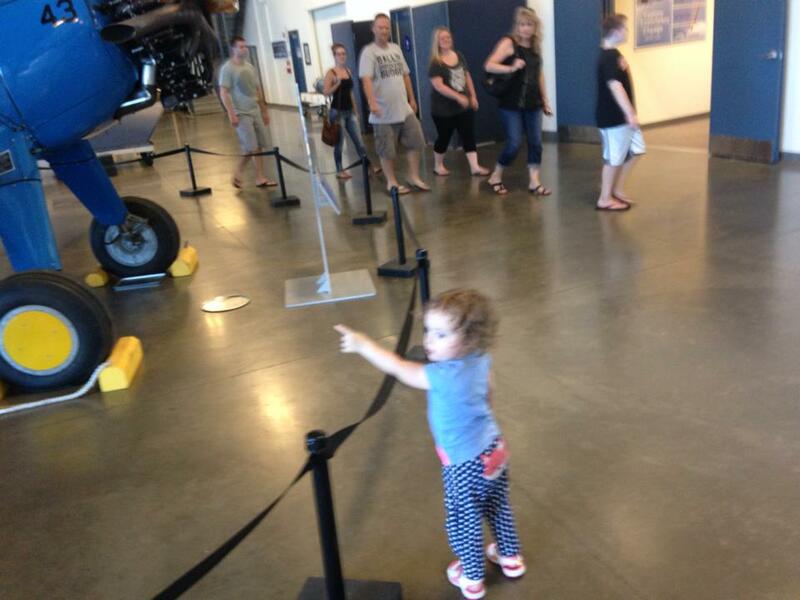 She loves science museums and planes. She loves baking cookies, smelling flowers, and visiting the reptile house at the zoo. She loves kittens, butterflies, and crocodiles. She isn’t a typical girl, or a tomboy. She’s Brontë, and I want to help her pick from everything the world has to offer to become the person she wants to be.